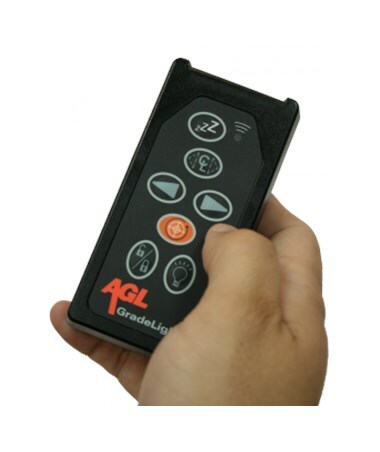 The AGL Wireless Remote Control for GL2700 and GL3000 9-09771 controls the GL2700 and GL3000 pipe lasers by AGL. It works from distances as far as 600 feet. 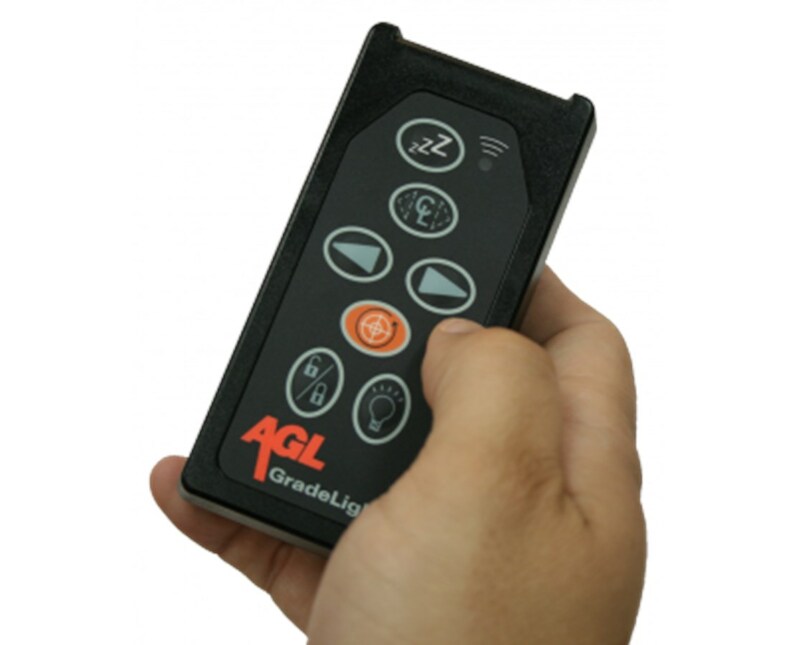 This wireless remote provides full control of every feature the AGL Gradelight pipe lasers offer. These features include the Manual Alignment function, the AutoTarget System, and Sleep Mode function. Left and right arrows simplify setting your grade and line. You can also press the lock button to prevent the grade or line setting from being changed. The remote control operates the GL2700 or GL3000 pipe laser as far as 600 feet from the front of the pipe laser and 25 feet from the rear of the pipe laser.